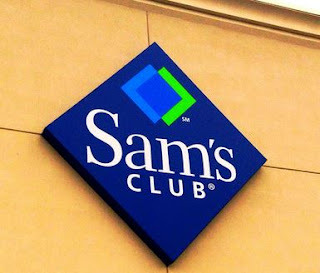 One Momma Saving Money: $35 for a new One-Year Sam’s Club Membership Package ($84.97 value) plus you score a bunch of freebies! $35 for a new One-Year Sam’s Club Membership Package ($84.97 value) plus you score a bunch of freebies! This is perfect for those of you who have been on the fence about a membership. We had one years and years ago, now we are getting one with this deal! $35 for a new One-Year Sam’s Club Membership Package ($84.97 value) plus you score a bunch of freebies! Offer valid for new Sam’s Club Members only; not valid for membership renewals, for those with a current membership, or those who were Sam’s Club members less than 6 months prior to October 1, 2018. To check your renewal date, please check your billing statement or your online account, or CHAT with an associate. Please have your membership card or statement on hand. Offer valid for U.S. Sam’s Clubs only; not valid in Puerto Rico. *Instant Savings offers are subject to availability and are valid in U.S. clubs with a U.S. membership, excluding Puerto Rico. Prices shown are pre-tax amounts. State and local laws may require sales tax to be charged on the pre-discounted price. For Club Pickup orders not paid for online, savings will be based on and limited to the Instant Savings offers available to the paying member on the date of in-club payment. No money shall be returned to the member if the price of the item falls below zero after applying the Instant Savings discount. If more than one Instant Savings offer is available for an item, the highest-value discount will be applied. Multiple offers will not be combined for any item. Visit SamsClub.com/termsandconditions or see a Club Associate for additional details. Instant Savings expire 30 days after the membership is activated. Membership must be activated before January 31, 2019 to receive additional membership benefits of eGift Cards and special Instant Savings.